B.Y.O.D. – Bring Your Own Dreams! This show was designed to connect Suburban Indy homeowners with local businesses to discuss your landscape, home improvement and home building needs! At this show you will also be able to sample and purchase local food and wine, shop with local artists, purchase fresh cut flowers, find out what’s “on trend” for Spring, plus learn the best ways to get your home ready for the Spring & Summer season! We hope you will accept our invitation and we’ll see you there! At Suburban Indy Shows we invite you to B.Y.O.D. – Bring Your Own Dreams! We understand there are thousands of ideas for home improvement only a click away. Whether its Pintrest, HGTV, Houzz or simple Google search… ideas are endless and easy to find right from your own couch! To DIY or not to DIY, that is the question! So you’ve found that idea… that dream… now what? If you’re an expert handyman, craftsman, etc. Then get to work! But if you have a history of more Pintrest Fails than Pintrest Wins… you might need to hire some help. Gaining personal trust in who you do business with! You could stay on the couch, search business websites, scour BBB reviews and ask Facebook friends for recommendations… and maybe that works for you. But maybe, maybe your the type of person that likes to look someone in the eye before you commit hundreds or thousands of dollars on a project to them. Maybe you want to have a conversation and ask questions. Maybe you want to feel comfortable with the person doing the job and not simply how their website portrays their business. That’s where we come in! We bring the experts together, for you! 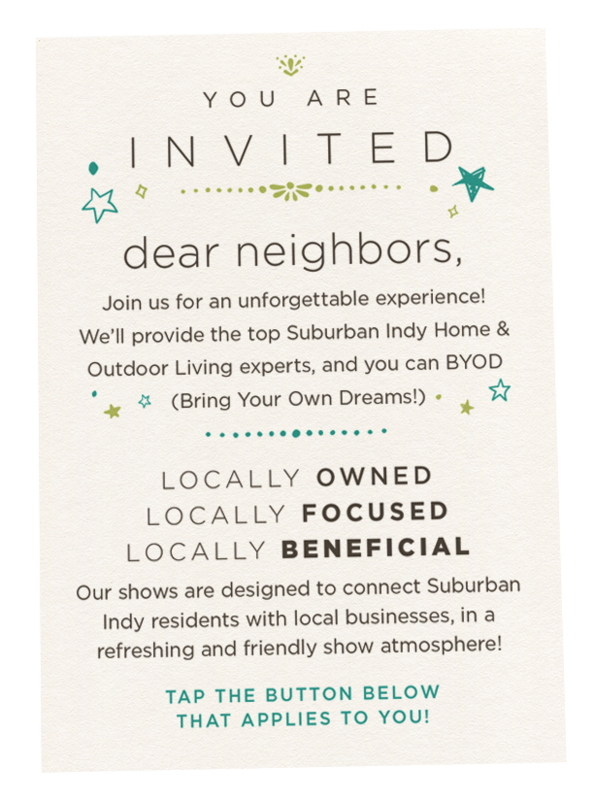 We have invited some of the top Suburban Indy Home & Outdoor Living experts to Grand Park for our show… to meet with you! Your time is valuable! You don’t need to drive all around town, set up appointments, coordinate schedules, etc. 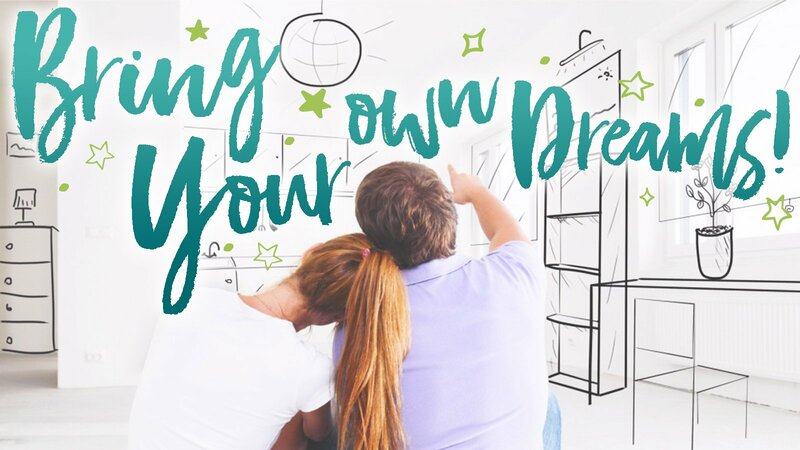 Just come to our show, take a leisurely stroll through our hassle-free isles and find the local expert who can help your dreams become reality! 10% of Ticket Revenue Goes to Charity! Suburban Indy Shows believes wholeheartedly in supporting their neighbors. Each show will feature a local charity to receive 10% of our ticket revenue! 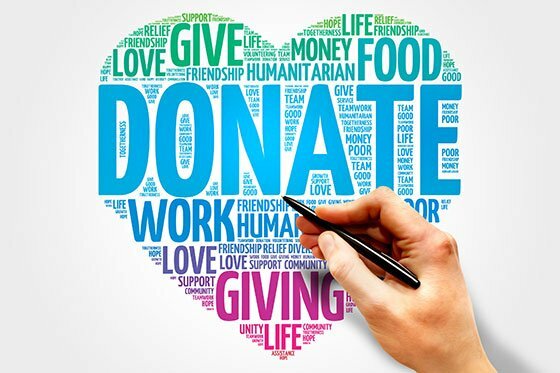 Our charitable organization benefiting from the upcoming Home and Outdoor Living Spring Show is one near and dear to our hearts. 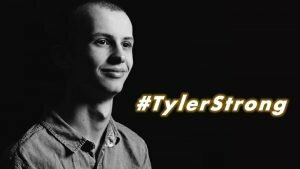 We will be supporting The Tyler Trent Cancer Research Endowment through Purdue University, where every dollar raised through the endowment will be matched by The Walther Cancer Foundation. While the #TylerStrong movement received national recognition, we have chosen this cause because of the closeness we have to the Trent family. Tony Trent, Tyler’s father, has been a longtime friend of ours in the landscaping industry. His company, Trent Companies, was a longtime exhibitor in the show we used to produce at the fairgrounds. Tony misses exhibiting with us, but with the whirlwind of attention his beloved son and the #TylerStrong campaign received, he understandably had to shift his focus to those more important matters. We hope to have Tony and Trent Companies in our show as soon as the time is right for he and his family! We were all inspired, moved and honored by the grace & dignity in which Tyler made the most of his too-short, but so-fulfilling life! If you wish to make a direct donation to the #TylerStrong cause, please do so here! 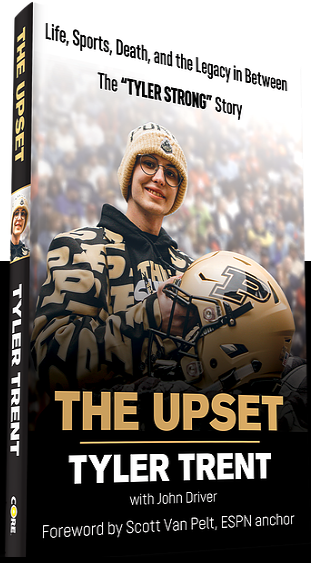 If you wish to learn more about Tyler or purchase his book The Upset: Life, Sports, Death, and the Legacy in Between – The ‘TYLER STRONG’ Story, please click here! Learn about The Tyler Trent Cancer Research Endowment!